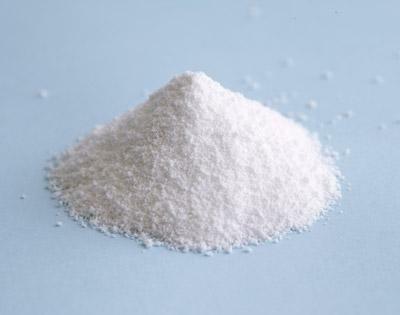 About 12 years ago from now in the early 2000s, a friend handed me collagen base powder by chance. Dr. Ishii’s inspiration, development and solid evidence from clinical trials, has led the product to be recognized and patented in 13 countries around the world. Dr. Ishii MD. PhD., the first to research the medical impact of collagen which was originally only studied from the perspective of beauty, has developed a historical product taking into consideration first and foremost your safety and health. The high absorbent physiological activity has grabbed the attention of the medical world and has been recognized for its scientific evidence, and more importantly, its safety. Since the product was launched, we received endless thanks from not only patients at the clinic but also from people with a variety of problems. 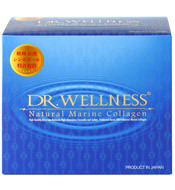 It is a high-quality collagen developed with the aim of contributing to the welfare of society. We hope that you give it a try. ※Bone calcium derived from fish, phosphorous content. Please take 2 sticks per day with water. Please consult your doctor before taking if you suffer from food allergies, are taking medication or have other medical conditions. 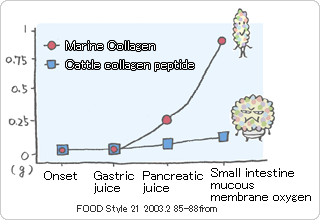 Collagen content: 2,500mg in two sticks 4.2 g = the recommended daily intake of collagen. At that time in my clinic, we were conducting osteoporosis clinical trials (clinical trials of new drugs). I decided to complete research and development because I thought that if collagen increases bone density, it could definitely be taken safely for a lifetime. I was convinced that natural white fish skin, as a raw material of collagen, would have the best absorption and medical results. Clinical trials altering the compounds and concentration were conducted to discover the ideal combination to increase bone density, and it was this collagen that increased bone density and compared favorably to medicinal pharmaceuticals. A variety of anti-aging effects were confirmed including improved skin condition beautifying, as well as improving the symptoms of arthritis, and cartilage regeneration. Following this, research into the hardening of the arteries was conducted, and it was patented in Europe on the 2nd November 2011 and Denmark on the 6th February 2012, as an agent that reduces and inhibits atherosclerosis. 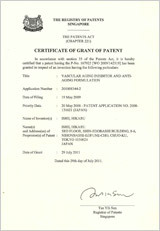 Also, it was patented in Singapore on the 29th July 2011 and in Hong Kong on the 8th November 2011 as a blood vessel anti-aging medicine and anti-aging agent. 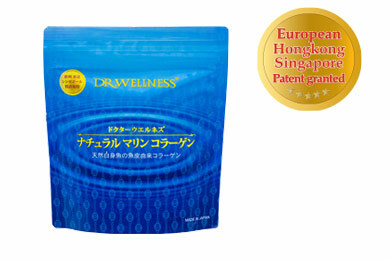 The European patent recognizes the decrease and prevention of atherosclerosis due to fish skin collagen. 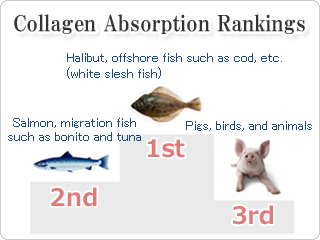 Compared to animal derived collagen, fish collagen excels and fish-derived collagen has 7 times high resolution and absorption capacity is also 7 times higher. Fish scales<derived from animals<red flesh fish(tuna･salmon)<white flesh fish(flounder, cod) The types of fish collagen. Which would you choose - fish scales or fish skin? Fish-derived collagen can be divided into types, scale or fish skin collagen. Most of the fish collagen on the market has been extracted from fish scales, however when extracting collagen from scales hydrochloric acid is used. The hardness in the scales is calcium. A strong hydrochloric acid is used to remove the calcium and to extract the collagen. By doing this much of the collagen, a type of protein is devitalized by the hydrochloric acid and becomes a less biologically active collagen. Also, the residual acid may cause gastritis. The skin of fish skin collagen is soft, meaning collagen can easily be extracted using only heat or enzyme process. Unlike fish such as tuna and salmon which have high temperatures, fish such as cod and flounder have a lower body temperature and live on the ocean floor. This makes them easy to break down and absorb. Evidence ~scientific evidence~ European patented as an agent that inhibits and prevents hardening of the arteries due to fish skin collagen. 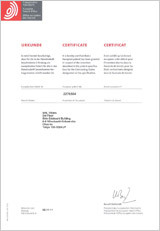 Patented in Europe and Singapore due to its superior absorption capacity. Fish skin collagen prevents and inhibits atherosclerosis. Vascular anti-aging medicine and anti-aging agent. Production history (an indication of the place of origin) and no antibiotics. Safe collagen with no hydrochloric acid residue, no residual metal. Here are some comments from our customers.